A number of states in the United States of America (USA) offer exemption from sales taxes to certain organizations. For this you have to get a tax-exempt number from the states’ tax department. There is certain criteria for each organization to get qualified for the tax exemption. If you think your organization meets the minimum requirement for the tax exemption, you should apply for the tax-exempt number. You will need to submit certain documents and meet all other requirements to get the number. Determine if you are eligible for the tax exemption. Generally, charitable and welfare organizations are exempted from tax deductions. You can search on the local tax department's website to see if your entity qualifies for exemption. It is better to determine the eligibility first before applying for the tax exemption number. You cannot get away without paying any taxes to your state. 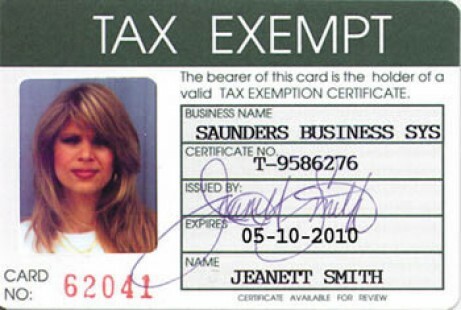 Generally, exemption is allowed in the sales tax. For charity organizations, exemption is greater than some other organizations. You should determine the type of tax exemption. After you have searched thoroughly about tax exemption, get an application form. You can download the form online or get it posted to your address. Carefully fill out the form and satisfy all other requirements before sending the form. Calculate the taxes you have been paying before the exemption, and clearly mention about the tax you are applying for the exemption. Make sure you enclose all documents with the application so that your request is entertained quickly. After filling out and sending out the form to the relevant department, you just need to wait for the processing of the application and getting the tax exempt number. The process can take some time. Still, you can contact the department if you think the time for the processing of application has been lapsed. Generally, you will be given a deadline about the processing time of the application but if not you can contact the department and inquire about status of your application. On receiving of the tax exempt number, you should maintain all the record. If you need to file for other taxes, and are demanded to include a copy of exemption letter, you can do so. So it is better to maintain all the record of communication with the tax department.